INNOLABS is a 2,5 year, 5 million € project, funded by the European Commission Framework Programme for Research and Innovation Horizon 2020. During this period, a total amount of 3,75 million € will be invested directly in SMEs, in order to foster collaboration, transfer of knowledge and opportunities among European SMEs coming from Health, Biomedicine and ICT sectors. The mechanisms envisaged for ensuring this purpose are based on the concept of Open Calls and specific related events (Ideas Contest Events, Hackathons, Workshops, etc.). This document explains how to prepare a proposal for the 2nd INNOLABS Open Call. 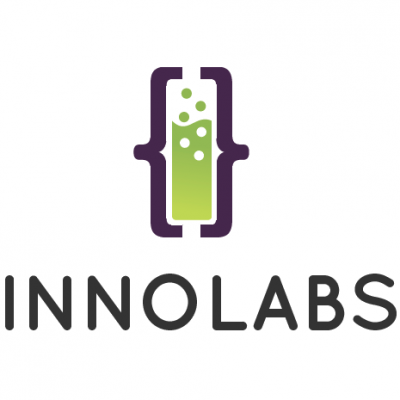 The Second INNOLABS Open Call will remain open from the 30th of May 2018 until the 17th of September 2018 at 17:00, CET (Central European Time). INNOLABS 2nd Open Call for innovative projects in personalized healthcare is seeking applications targeting a combination of ICT, BIO, Health and Medical sectors for the benefit of ageing populations and rural areas that incorporate mHealth technologies and bring society closer to the next generation healthcare system. All applications must address one of the Challenges proposed for this specific Open Call, which can be found in section 4, later in this document. 25.000€ in Direct Cash Funding (more information in sections 9 10). - Up to 15.000€ in Innovation Vouchers to be spent in services provided by external providers validated by Consortium. - Up to 10.000€ in additional services provided by Consortium Partners. The whole Acceleration Programme will last 9 months, from November 2018 to July 2019. Plus, 5 teams who request it and demonstrate sufficient capabilities and maturity level, could join a Fast Lane Programme, where the same support will be provided but in a four months’ timeline. If you are willing to enroll into the Fast Lane Programme you should specify this fact during the electronic application. The INNOLABS acceleration programme is non-residential; all collaboration with teams will be done remotely. The following figure illustrates the timelines for both options. Selected teams from the Open Call will become INNOLABS project Sub-grantees, and will be required to sign a Sub-Grant Agreement with the INNOLABS Project Coordinator. All documents that need to be submitted are listed in section 8. During the Sub-Grant Agreement definition, care will be taken to establish the milestones that each team is committing to fulfil, to ensure the alignment of deliverables and milestones. The 10-page proposal will become an attachment to the Sub-Grant Agreement. Once all the administrative formalities are ready, teams will be able to benefit from all the INNOLABS key actions: Direct Funding, Innovation Services, Key Account Managers mentoring, webinars, etc. discussing with the teams and making recommendations so as to align the innovation services with the specific needs of a given team, helping to setup the best possible service package for each team to deliver its objectives. To initiate this collaboration in the best way possible, all supported SMEs will be joining a 2,5 days Acceleration Kickoff event in Madrid on the 19-21 November 2018. The event will be the opportunity for beneficiaries to engage with their respective Key Account Managers and get the most from networking with other companies. Further, companies will be exposed to the different services being provided by the consortium and chose the most adequate ones on the spot - the purpose is that every SMEs get out of the event with an agreed services package they will receive from the consortium. The event will also include some training workshops and opportunities to pitch ideas to other SMEs for prompting collaboration opportunities. Soon after this first event, the Direct Funding will be managed. It is perceived as an investment to help SMEs to achieve their planned milestones. It will be pure lump sum, equity free and no cost reporting will be required. The budget earmarked is distributed in three payments and is subject to progress being achieved – for this, the teams have to submit mid-term and final reports on project advancement and milestones achievement. Funds will be disbursed to the team leader (an SME) of a project. Teams will have to provide a breakdown of the distribution of funds among the SMEs in the team; only SMEs can be beneficiaries. The second payment will be released after the mid-term report deliverance and KAM validation. The third and final payment will be made after deliverance of the final report and subject to the KAM validation. IMPORTANT: The Final Payment and the reimbursement of the innovation voucher may be done later than M10 as these will be pending on the disbursement of the funds by the European Commission to the INNOLABS consortium. Considering that the acceleration period ends in July 2019, last payments may take place up to beginning of 2020. All along the Acceleration Programme, Sub-Grantees may use its assigned Innovation Vouchers and apply for services by external providers, as well as benefit from the services delivered by Consortium partners (Services delivery procedure is explained in detail in section 11). Sub- Grantees need to submit an invoice that will be reimbursed after all the requirements, explained in section 11, are fulfilled. Ethical and Legal Data Protection Support and Monitoring. By the end of the project lifetime, there will be a Final Workshop in Oslo, where all the project teams involved in the two INNOLABS Acceleration Programmes will be welcomed to attend. During this event, the best performing team will be awarded with the Final Prize worth 50.000€. The second Open Call, is open to smart health solutions based on combination of ICT, BIO, Health and Medicine sectors. Proposed solutions should solve or meet the needs of ageing populations in rural and urban areas. interested in solutions that enhance the clinical decision support systems for the prevention, diagnosis, and shared care management of chronic physical and mental health conditions among ageing populations and are interoperable between the home, primary and specialised care. The interoperability in the continuum of care is of paramount importance to assure assisted care delivery in rural and remote areas. In this context, providing support tools on mobiles and smart phones can help improve the quality and safety of preventative and clinical services (right expertise at the right time in the right place). Microbiome solutions to support healthy living and ageing. This matters because the human microbiome (the entire collection of microorganisms in a specific niche, such as the human gut) is as complex and influential as our genes when it comes to our health and wellbeing. As well as being implicated in mental health issues, the gut microbiome may influence our athleticism, weight, immune function, inflammation, allergies, metabolism and appetite. Cancer is usually treated with surgery, chemotherapy and radiation. These are invasive with considerable physical and psychological side-effects. More recently, the idea of using the body’s own immune system to attack cancer cells has attracted attention but this also has potential side effects. CAR-T therapies have potential with T cells isolated from the patient and engineered to express chimeric antigen receptors for specific cancer types before being infused back into the patient. This has potential for treating cancer and minimising its impact on co- morbidities in ageing populations. So, affordable solutions with cutting-edge sequencing methods and analytical techniques that close the gap between data production and informed decisions (personally and clinically) would be valued. Technical: No technology readiness level (TRL) is required. But we are looking to support solutions that have the potential to scale-up in international markets. As critical, the solution should be fit for the needs of end-users (market pull) and not market push. Business model: Your business model should show how you plan to scale-up your solution to ensure market readiness in your key market(s) combined with the maturity and management capacity of your team to achieve this. These markets might include the silver economy (individuals/clients) and healthcare providers (institutions). The latter might be at the primary, secondary and/or tertiary levels. To help you achieve your goal, the selected SMEs will be offered a customized support service package and guided along an accelerator path developed and tested by the INNOLABS consortium. Applicants need to engage one or more of these specific challenges in order to be an eligible candidate. The Open Call is open to teams composed by, at least, two legal entities which must come from different sectors of the value chain. important to note that support will be disbursed to the team leader (an SME) and only SMEs can be beneficiaries. Note also that if a second partner is another SME, teams will get higher marks during the evaluation process. All entities in the team must be legally established as a business and based in an EU member state (Austria, Belgium, Bulgaria, Croatia, Cyprus, Czech Republic, Denmark, Estonia, Finland, France, Germany, Greece, Hungary, Ireland, Italy, Latvia, Lithuania, Luxembourg, Malta, Netherlands, Poland, Portugal, Romania, Slovakia, Spain, Sweden and United Kingdom) or H2020 associated country (Iceland, Norway, Albania, Bosnia and Herzegovina, the former Yugoslav Republic of Macedonia, Montenegro, Serbia, Turkey, Israel, Moldova, Switzerland, Faroe Islands, Ukraine, Tunisia, Georgia and Armenia). .Teams composed of more than one SMEs will be positively evaluated with extra points. Cross-national teams will be positively evaluated with extra points. Teams proposals must deliver a new product, process or service addressing the set Open Call Challenges (see section4). No Technology Readiness Level (TRL) is required. The selection will be based on the excellence of the proposed idea to address the identified healthcare challenge, the maturity and the management capacity of the team to drive project to the market, and the potential of the proposed solution to scale-up in the international market. Already existing products without a clear advance or innovation beyond the state-of-art will be rejected. Project activities that have already been funded or are being funded will be rejected. Double funding is not allowed. - SMEs can only be Sub-Granted as team leader for one application. project, without exceeding the established 60.000€ finance support limitation. Special attention must be paid while setting up the project team. SMEs or other partners can be members of different teams and projects, and apply for both Open Calls, but it has to be noted that: A careful study will be done during the evaluation process, ensuring that none of the team partner is likely to exceed the funding threshold of 60.000€. If any of the partners may be breaching this limitation, the whole team will be rejected. Awarded team leaders from INNOLABS 1st Open Call will not be allowed to apply to the 2nd Open Call as team leaders. Finalist SMEs from the 1st Open Call may apply and be beneficiaries in the 2nd Open Call. Either way, the maximum funding threshold of 60.000€ per company applies. 1) by attending the INNOLABS Events where first-hand support and potential collaborators can be found. 2) by registering on the INNOLABS website, where a “Matchmaking Tool” is available and might lead you to collaborative partners willing to apply for INNOLABS Open Calls. A more detailed Guide on how to register and use the matchmaking tool can be found at the end of this document (Annex II). First INNOLABS Open Call will be launched on the 30th of May 2018 and close on the 17th of September 2018 at 17:00, CET (Central European Time). All applicants must register on the INNOLABS website where they must complete their profile and upload all required documentation. Applications must be submitted by the leading SME, who will also declare the consent of other team members’ participation. However, all team partners must register at the INNOLABS website before applying. Register at the INNOLABS website (www.innolabs.io), and complete the application electronically in English before September 17th. All applications will be processed through the private website. Check compliance with eligibility criteria for participating in the INNOLAS Open Call provided in this document (see section 5). • A 10 pages application (maximum). It should detail the idea and overall concept, including the advancement the proposal would provide beyond the state-of-the-art. In addition, the proposal should describe the technology and tools expected to be used, as well as the expected impact at European and Global level. Finally, a short work-plan setting timelines and milestones, as well as a breakdown detailing how the Direct Funding and Innovation Services will be distributed among the partners is mandatory. • A 10 slides Pitch Deck, the document must be very synthetic, contain the name and logo of your company plus information on your project idea. A pitch deck template is provided as a guide for this purpose. All these documents will be uploaded through the INNOLABS private website, and must be submitted in English. 1) Eligibility Check. A first review will be performed by an Evaluation Committee, composed by Consortium Partners, whom will check the documents submitted, the compliance of call requirements in terms of scope, and teams’ composition, etc. 2) External Experts Evaluation. Two to three external evaluators (depending on the number of proposals received) will review each proposal in a cross-national system, consisting of two non-local reviewers. In case of large difference in scoring a third one will be called upon. General rule, the two scores which are more aligned will be used but the Evaluation Committee will deliberate on more specific cases. 3) INNOLABS Evaluation Committee will oversee and validate the evaluation process, and will check there is no conflict of interest, fraud, double funding, or any partner exceeding the 60.000€ threshold. If there are ethical considerations, the proposal will be carefully studied and an Ethical Voucher might be required. Finally, the Evaluation Committee will develop a ranking list according to the results and will communicate the results to the INNOLABS applicants, via e-mail. 4) Sub-Grant Agreement preparation process. SMEs teams will need to validate their financial and technical operational capacity (estimated time: two weeks). Teams will have to submit proof of: legal existence; financial statements; bank account data; founder’s IDs; and declare they have an internal Consortium Agreement. The Open Call evaluation process will be completely finished within a maximum time of two months from the close date of the Call. The consortium will undertake all possible efforts to publish the final results final ranking, the latest, by the 9th of November 2018. Independent External Evaluators are selected from the pool of experts whom have expressed interest in evaluating INNOLABS Open Calls. Among all the expert applications received, the most relevant and reliable are selected and validated by the Project Management Committee. All experts sign a Declaration of Impartiality, confidentiality and absence of conflict of interest.